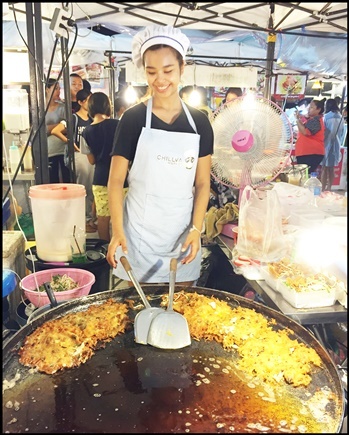 Phuket has many markets that might interest a visitor, the most popular is certainly the weekend market, which is open Saturday and Sunday nights at Wat Naka, south of Phuket Town. But it has plenty of competition now. 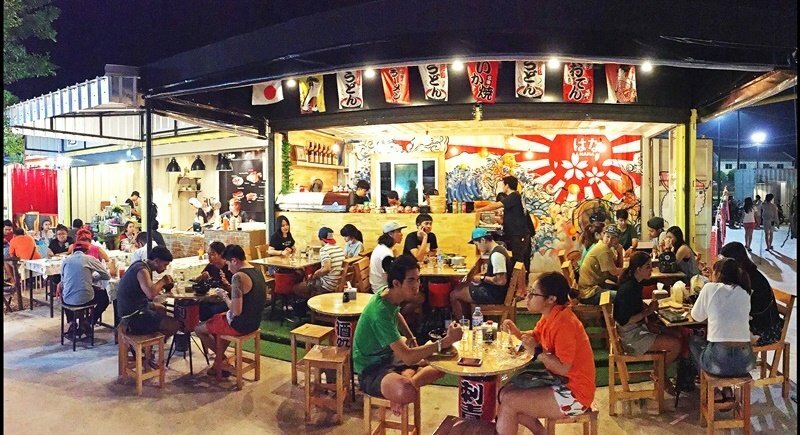 The Indy Market opened a few years ago in the Phuket Old Town area and is popular with young people. The excellent Lard Yai Walking Street market on Thalang Rd in the heart of Phuket Old Town on Sundays is definitely worth a look. Most of the restaurants have open-air seating for their customers. Local food abounds, but there are plenty of Western options too. The trendy bar area has rooftop seating for drinkers. Market food is served up fresh and hot as always. 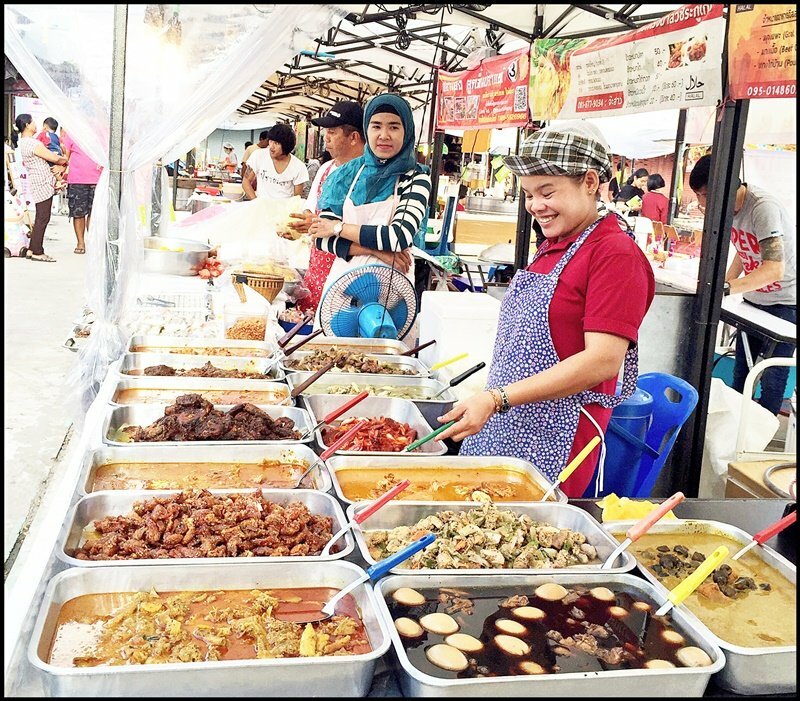 If you want a real working market – you know, vegetables, fish, meat, fruit and fresh food – I’d suggest visiting the main fresh market in Phuket Town or maybe the Kathu fresh market, but I think what people want is a mix of food, restaurants, bars and stalls selling clothes and arty things. The Sunday market in town is probably my favourite, but it’s only on Sundays! The weekend market is an experience, but can be too busy for me, but now there’s something new! The Chillva Market officially opened at the end of April this year, with the aim of being a bit more cool and trendy than your standard market. Chillva has a mix of shops, market stalls, bars, restaurants, food stalls and often has live music too. Some of the shops and bars are open every evening, but the main market is open Thursday, Friday and Saturday starting late afternoon and closing around 11pm. Best to visit from about 6pm.My last visit was at about 5pm and that did seem too early, it was very quiet. It gets much busier after dark and has quickly become popular. Chillva is located in Samkong, which is in the north end of Phuket Town. It’s between the Tesco Lotus store and the Bangkok Hospital Phuket, close to the Chinese shrine in Samkong. I avoided the market for a few months mainly because between our house and Chillva is a big messy roadworks where an underpass has been built and it’s taken a lot longer to complete than planned. We should be able to drive straight from Kathu to Samkong, but for a long time we’ve had to make a big detour down the bypass road and u-turn back towards town. That is now almost complete. The market occupies a fair slice of land and has quite a large car park too, although one time when we visited the car park was full and roadside parking there was like gold dust. You could park in Tesco and walk about 500 metres. Motorbike parking is less of a problem. As it’s quite new, it is currently one of the local hotspots. The various markets do pretty well at not clashing with each other, or are located a fair distance apart, like the weekend market on the opposite side of Phuket Town. So, what do we have at Chillva market? Well, first of all (on Thursday, Friday, Saturday) you have the market – lots of stalls selling clothes, arty things, and quite a lot of food stalls. It’s not a huge place like the weekend market (where you can easily lose your way) and is open air, so it’s not too hot after dark. 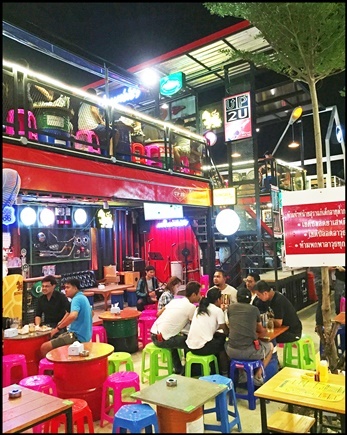 There are also a fair number of restaurants, selling anything from burgers to Thai noodles, with outdoor tables, plus a seating area for eating food from the stalls. Aside from the market area, there are some more permanent shops, mostly selling clothes. My daughter found one she likes selling earrings. There is a bit of nightlife here too. In fact, every time I have been there was some live music, usually just local musicians playing but on one visit there was what looked like a school talent show going on. There is also a little street of trendy bars where you can sit up on the roof with a drink and watch the scene below. When someone asks me which is the best market to visit, I find it hard to answer. These places are more for locals than tourists, but I’d say try this one and the Sunday walking street, or the weekend market if you want the big one. As a local, it’s good to have these options now, as a few years ago the weekend market was on its own.